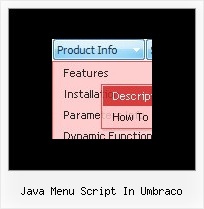 Q: I have created a menu for a product tutorial. It consists of about 50 topics, each of which is listed in my menu. I’m wondering if there is a way to gray out the menu link for the open tutorial topic? Please, see the source code. Q: I would like to setup a menu that is Horizontal at level 1,Horizontal at level 2, then vertical from then on. Can your system handle this? Even if I need to manuallytweak something that would be fine. A: Unfortunately, the menu can't do that. You can only set theorientation for the top-menu and its submenus. Q: I'm about to put in an order for your excellent Deluxe Menu (still weighing up the options between buying a single license for now or the Multiple site one). I noticed that the not-for-profit free license doesn't cater for Intranets. Can you please confirm that your drop down menu code (paid license) would indeed work for Intranets though, as this is my current quest. I'm working on a company's internal site which has a lot of documents, procedures and forms for download, which is precisely why I would like to purchase your product. Can you please confirm or shed light on this? 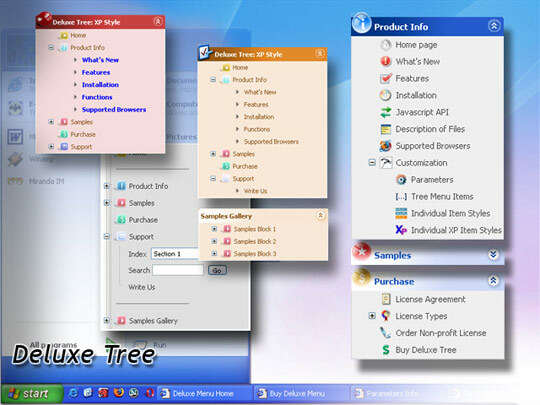 A: Yes, you can use the licensed copy of Deluxe Menu on Intranetwebsites. with Single or Multiple licenses. On a local machine you'll see"Incorrect Key" message. Je zou eventueel op het Umbraco Forum advies kunnen vragen wat de beste manier is om dit op .... Iemand anders wel gelukt een menu te maken? How to change language in Fireboard forum?